Saint Pierre is a late season variety cropping 1-2 days before Bounty. 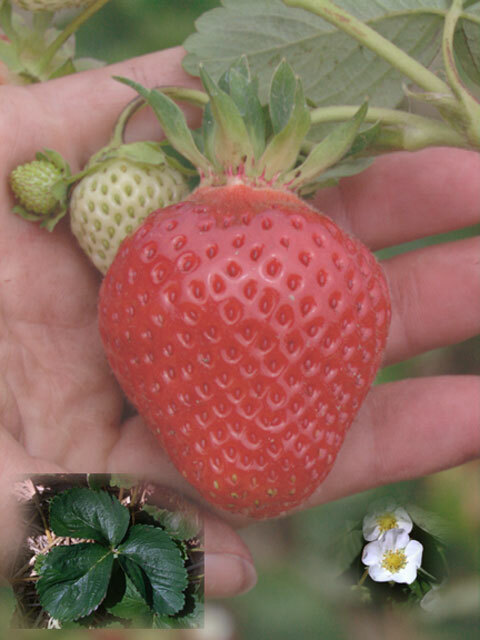 Saint Pierre produces attractive and very large, light red, shiny fruit and light yellowish red, especially in light soil. The fruit shape is conical neck. The flesh is light red throughout and firm. 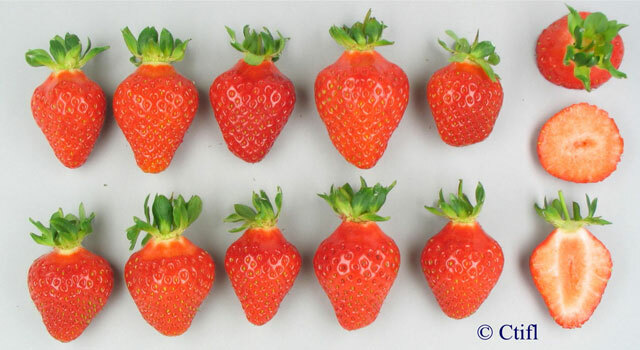 Fresh fruit stores well for up to 5 days at room temperature. Saint Pierre produced lower yields than Kent. Plants are vigorous and have an upright growing habit, producing 2-5 inflorescences per crown. They can tolerate winter temperatures below –30ºC (with 10cm straw mulch cover). Petioles are 10-15cm long. Plants perform very well in sandy soil and they are also adapted to growing in compact or heavy soil. Some symptoms of powdery mildew (Podosphaera aphanis) have been noted on Saint Pierre plants since observations began in 1990, especially during high humidity. Plants are susceptibility to red core (Phytophthora fragariae). Saint Pierre had the same level of tolerance to leaf scorch, leaf blight and leaf spot as Honeoye. Saint Pierre is useful where there is a need to store fruit for transportation. Plants perform very well in sandy soil and they are also adapted to growing in compact or heavy soil.